Here on the Canadian prairies it reached -45°C this week, and I've never been more determined to defy weather constraints on my sartorial selections. These cat print tights were admittedly worn earlier in the winter when temperatures were slightly less frigid, but they'd never been featured on my blog before now and I figured it was about time. 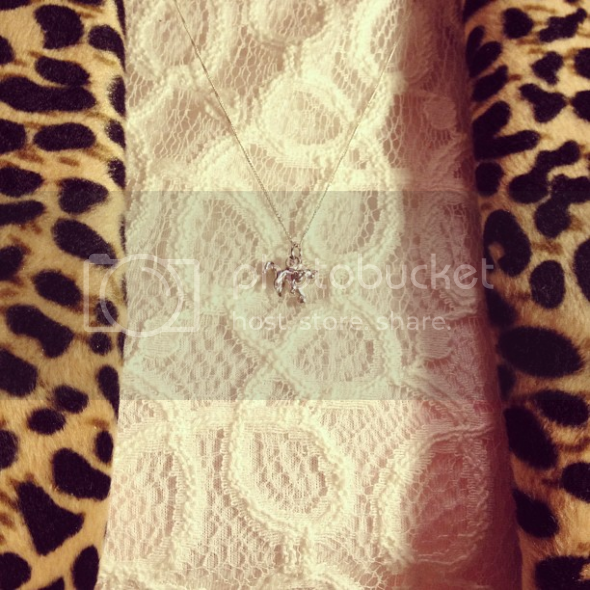 My feline themed clothing collection continues to grow, with recent additions including this silver necklace and leopard print shrug. They're seen here with a white lace dress, but I've been wearing both at every opportunity for the past couple of weeks. 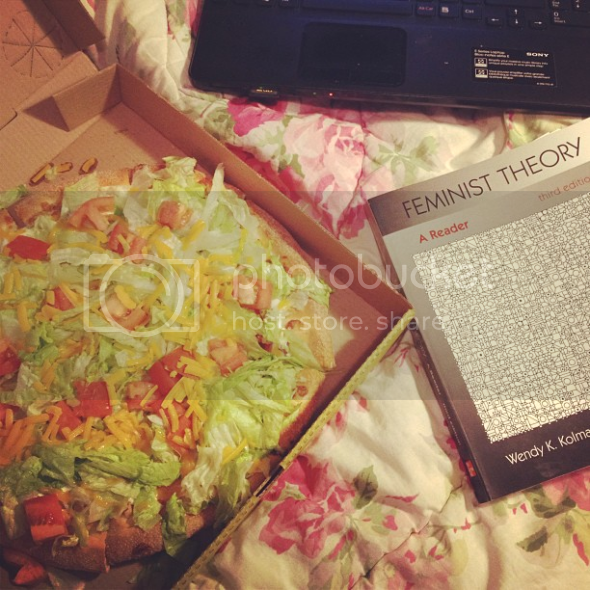 I've been spending many an evening shut in with my textbooks, though not always with taco pizza on hand (unfortunately). I'm so happy to be back at school after a break from the academic world of almost three years! The start of a new term was the perfect excuse to buy myself a beautiful bag, which is a blatant imitation of The Cambridge Satchel Co design but in the most beautiful shade of pink and the perfect size for school. I'm looking forward to the day when I can pair this with light denim, although summer seems like a figment of someone's imagination at the moment. 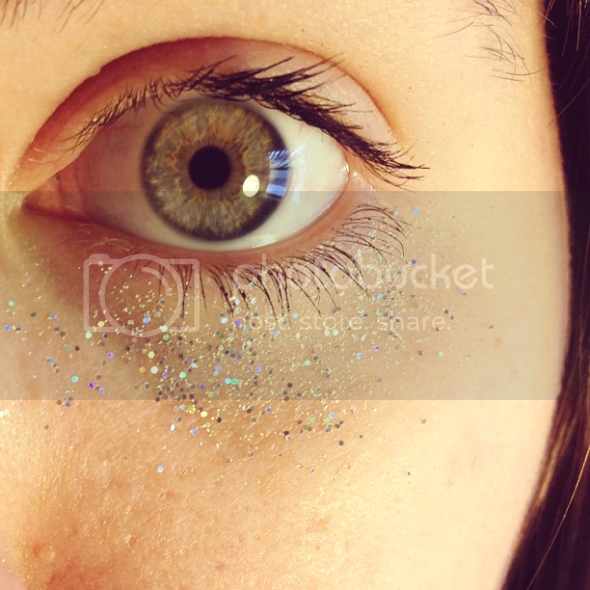 To subvert winter blues I've taken to new indulgences which include wearing craft glitter as eye makeup on nights out. This works surprisingly well and is actually quite subtle irl. Embossing powder seems to be best suited for the job and is much cheaper than a lot of beauty products! -45C? Okay, that's insane. I can't believe you braved that with tights! Haha. I've never actuall had taco pizza before but it sounds amazing, since it's a combinaiton of my two favourite foods. The glitter is really cute! That bag is so pretty!! What a great colour too. I would never think to put glitter under my eyes, but I can see why it would work for a night out though!! oh my gosh. i love your blog. its soooo cute. 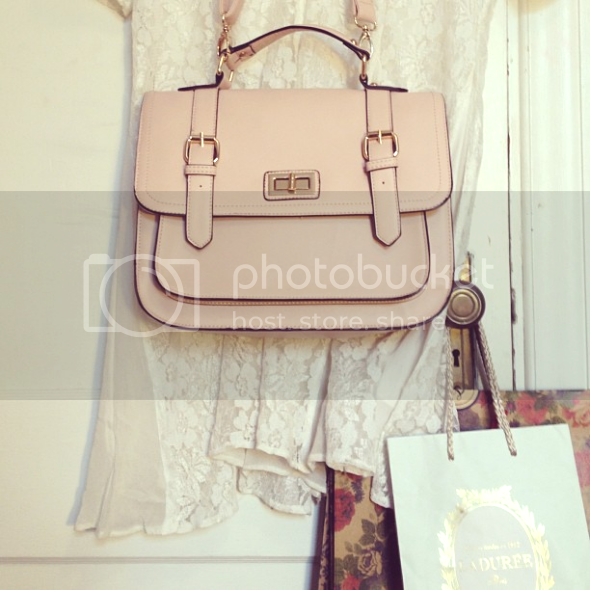 Oh oh oh Cambridge satchel - I've wanted one for aaages! It's lovely! 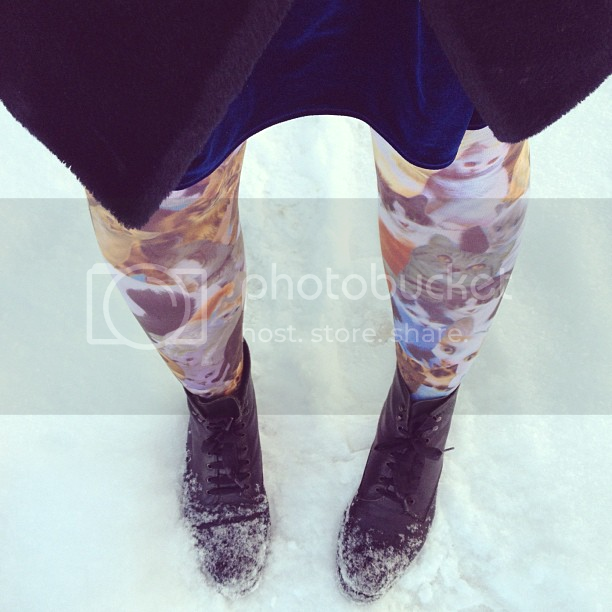 Also those cat print leggings are amazing. Where did you get them? Oh my gosh it really is crazy cold where you are...I thought I had it bad in the UK! Those tights are amazing and I love the satchel too darling! What an amazing bag!! and all that glitter is AMAZING, also Taco pizza sounds revolutionary!! !